Growing the little stars in our lives. 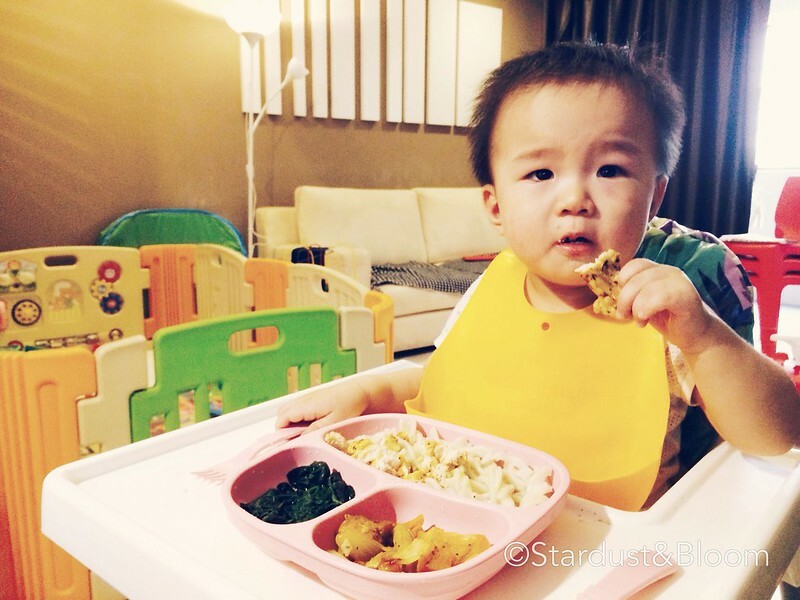 A parenting blog that discusses Baby Led Weaning, health, breastfeeding, nutrition, and other baby/kids topics. 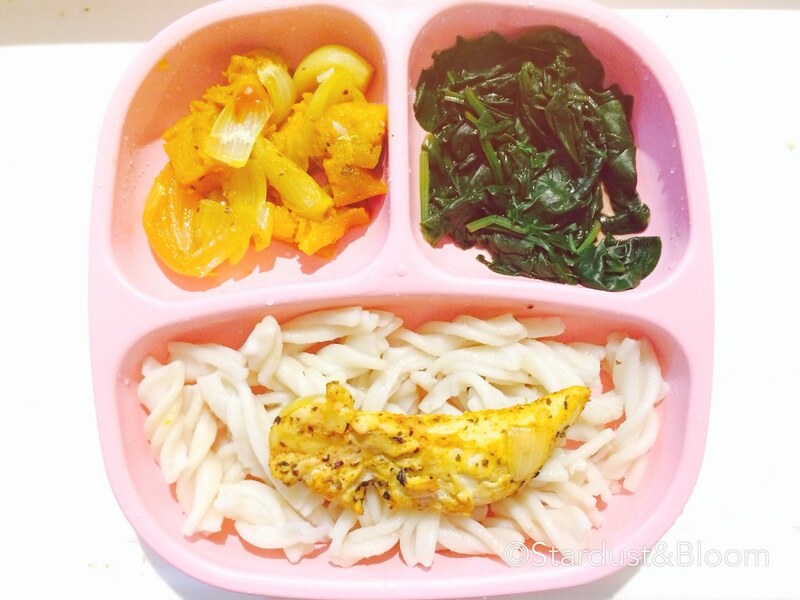 So I whipped up some lunch for Lil Pea, with spices and herbs he likes. Yes, a custom job! And no, there isn’t chilli. 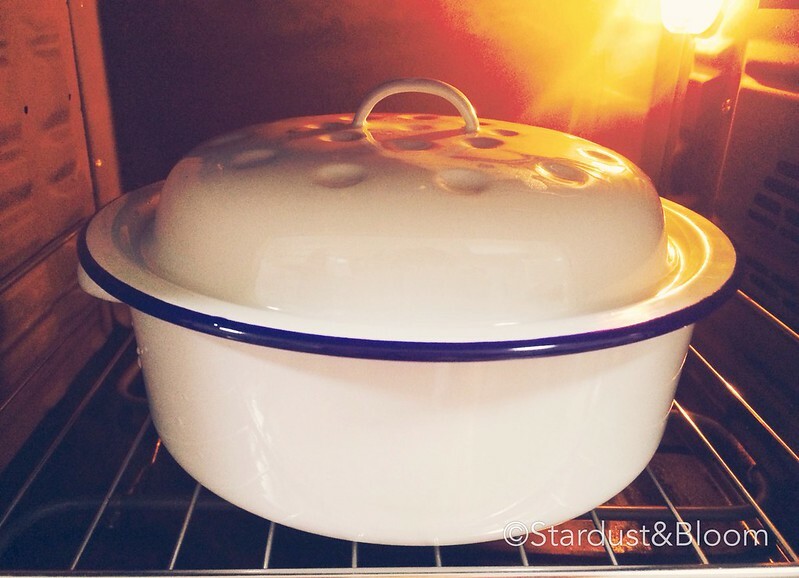 Using the oven and electric steamer are top choices for me, because it means I don’t have to slave at the stove. Who wants to do that when there are diapers that need changing and little boys who need dancing?! Chuck it in to cook and literally forget about it. Preheat your oven at 180 degrees Celsius for 20min. In a baking tray, add a dash of olive oil or coconut oil to the chicken, onion, crushed garlic, and chunks of pumpkin and whatever veg that pleases you (cut into cubes or wedges, depending on what baby prefers). Add the spices and herbs. Go easy on the turmeric, cumin and nutmeg. Turmeric is slightly bitter and cumin is really strong tasting even if there’s just a pinch. Toss the meat and veg in the oil-and-spices mixture. Let it sit for a while to soak in the goodness. Don’t sweat it even if it’s just a few minutes. Let the paprika (I love this spice for an instant perk-me-up in cooking) do its job. It’s tasty even without marinating for a few hours! Cover the tray with a lid or aluminum foil and chuck it into the oven for 20-25min. Meanwhile, you can boil your pasta of choice at the same time. Follow cooking instructions on packet. I added a dash of olive oil and some dried basil to the water the pasta’s cooking in. I lifehacked cooking the pasta by steaming it in a bowl of water in my electric steamer (by this I mean my electric two-tier lunchbox) so that I don’t have to watch the stove 🙂 It works! I steamed it for 25min using this method. Oh, and I use fusili cos the grooves make it easy for the little fingers to grasp. The last 10min of your cooking time, add to the second tier of your steamer the serve of spinach. Now go play with your baby. Or change a diaper. Or teach your LO the chicken dance. 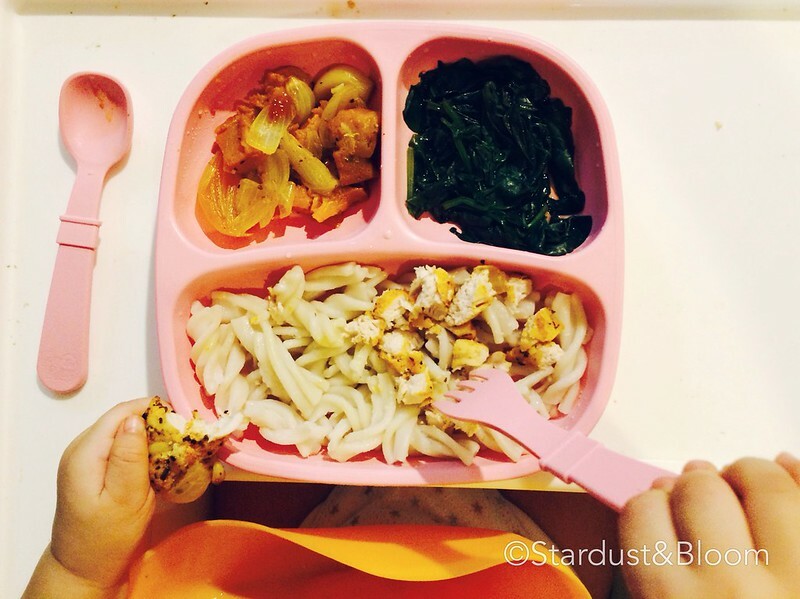 Let the food cool before serving it to your hungry little one. Stardust&Bloom started when I decided that I was learning so many new things as mummy to Little Pea, I just had to write it all down somewhere. From Baby Led Weaning, to healthy recipes, top places to bring the littlies, the best gear, learning and other parenting who-what-when-where-hows. Come join us! Enter your email address to follow this blog and receive newsletters by email.